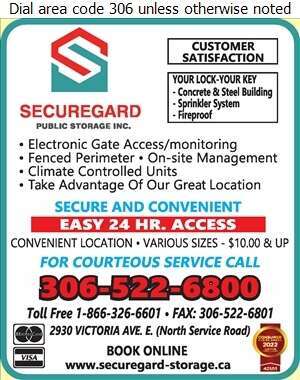 Located in the east end of Regina, SecureGard Public Storage Inc. provides secure and convenient public storage units. We have a fenced in perimeter with 24 hour access through an electronic gate. All the units have private locking steel doors, and you supply the lock and key. The storage units are available in a variety of sizes and climate controlled units are also available. You don't need to worry about the safety of your belongings as the storage units contain a sprinkler system. 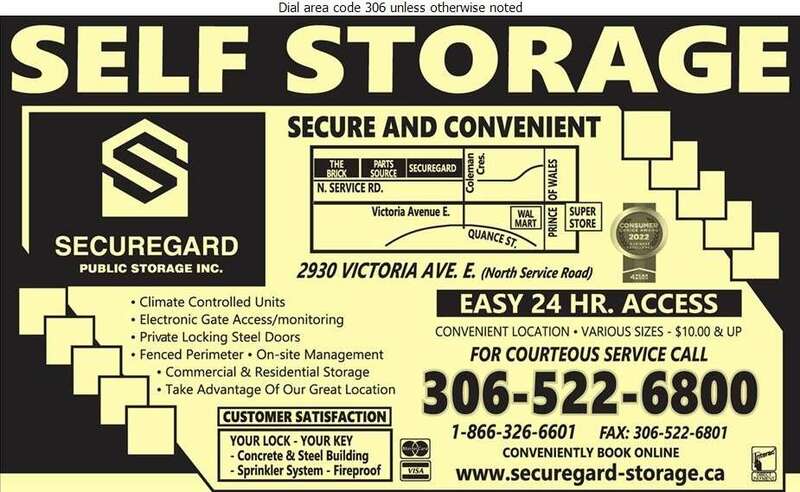 When you need secure and convenient storage for your home or office, remember SecureGard Public Storage!